The works by Katarina Zdjelar over and over again address the question of how social conditions, upbringing and relations of power affect personal identity. Belgrade-born and Rotterdam-based artist uses language and voice as tools to explore contemporary society. According to her, language, due to its potential to identify and create reality, encapsulates the mystery of how an individual positions her/himself vis-à-vis a concrete community and how he/she identifies her/himself. Video works are the major area of Zdjelar’s activity. Although films presented in Łódź were shot in concrete locations and countries, such as Ghana, Albania, Serbia, Norway or Slovenia, all of them are universal and they tell stories outside of any time frame. They show the world, which is suspended and discontinued, between one moment and another, between action and coming to a standstill. In artworks of the Serbian artist, sounds are equally important as moments of silence, sudden stoppages, when the relationship between the rhythm of an individual and the rhythm of a community becomes even more clear. Starting from what is private, personal and presenting a closed group, Zdjelar’s films comment the present, tell about historical processes, political past events, and propose a diagnosis for modern times that opens up to viewers interpretation. Zdjelar films often reveal the emerging of the imaginarium of our changing and turbulent times, confronting us with rarely shown moments that do not fit the overall vision of modernity. That is the case of, e.g., “My lifetime (Malaika)”, a footage from a rehearsal of the National Symphony Orchestra in Ghana. The leitmotiv of the video derives from the song from the repertoire of Miriam Makeba, a South African singer nicknamed “Mama Africa”, the symbol of fight against apartheid. The film is a reflection on past and present colonialism. Another example of politics echoing in Zdjelar’s works is the moving image “A girl, the sun, an Airplane Airplane” set in a recording studio in Tirana and making reference to the history of the Eastern Block before political transformations when classes of Russian language were mandatory at school. A more up to date message emanates from the video “Rise Again”, in which the artist records a group of refugees, however, in a completely different setting than in today’s media reports, i.e., during a quiet walk in the forest in Slovenia. Katarina Zdjelar’s oeuvre was shown in Muzeum Sztuki in Łódź for the first time in 2012 on the occasion of “For You” exhibition, which featured her video work “Shoum”. 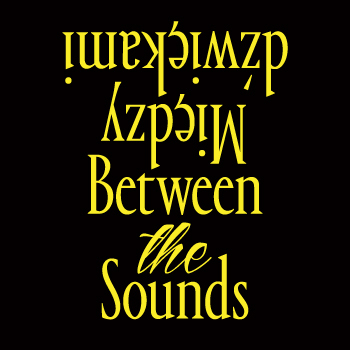 “Between the Sounds” is a solo presentation of video works created by Zdjelar over recent several years. At the exhibition, we will see the following films: “My lifetime (Malaika)”, “Rise again”, “Untitled (A Song)”, “A girl, the sun, an Airplane Airplane”, and “Everything is gonna be”. and the artist Katarina Zdjelar. September 10, 2016, ms1, 11:11 a.m. Between the Sounds, Between Words. September 10, 2016, ms1, 1:13 p.m.
the presence of the performer, a lecture by Barbara Kinga Majewska.